National governments view it with suspicion, while diplomats talk of a 'coup' by the European Parliament. 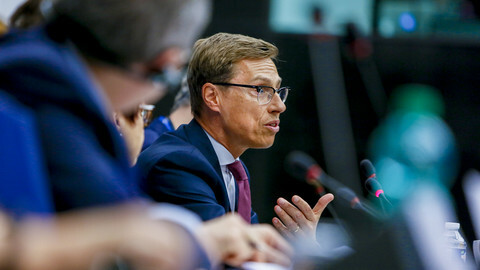 EU officials argue it increases the democratic legitimacy of the whole bloc, giving voters an (indirect) say in who will run the next European Commission. The spectrum of arguments for and against is almost as wide as the gap that remains between citizens and the leaders of European institutions, but the 2019 EU elections could finally decide the fate of the so-called Spitzenkandidat (lead candidate) process itself. That piece of EU-jargon stands for giving a larger say to the European parliament in choosing the next head of the EU executive: created in 2014, the new process came to symbolise the serious and never-ending power struggle between the parliament and member states. Two Germans, the European parliament's secretary general, Klaus Welle – no less shadowy and powerful than his compatriot heading the commission's services, Martin Selmayr – plus the parliament president at the time, Germany's Martin Schulz, came up with the idea of having political parties announce their 'lead candidates' for commission president ahead of the election itself. The lead candidate whose party can muster a majority alliance in the new parliament would then lead the European commission, requiring only a nod from member states. 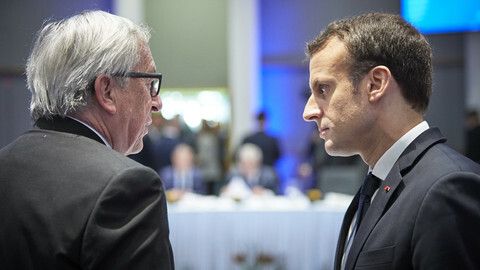 EU governments viewed the process with scepticism but woke up too late to lobby against it, finding themselves having to appoint Jean-Claude Juncker to head the EU executive, after German chancellor Angela Merkel finally caved in to the process. The Spitzenkandidat process has its basis in the Treaty of Lisbon, which says that member states can propose a president for the commission "taking into account the elections" to the parliament, with the European parliament voting on the person. Last time - which was the first time it was used - both the UK prime minister David Cameron and Hungary's premier Viktor Orban did not back Juncker. But other member states were also unhappy with the parliament seizing the process of choosing the commission's president - which had always previously been the preserve of EU capitals' private horse-trading. The parliament argued it created a "direct link" between voters and the commission president that would boost the democratic legitimacy of both the EU executive and the EU as a whole, create transparency in the election process and, not least, increase turnout at European elections. However, the experiment did not, in fact, inspire voters. As citizens vote for their home parties and not EU-wide alliances, few were even aware of the top candidates. In fact, voter turnout actually decreased slightly, from 43 percent in 2009 to 42.6 percent in 2014. It was an all-time low for the European parliament since direct elections were first introduced in 1979. Currently, the Spitzenkandidat system can appear more of an institutional power struggle under the facade of promoting democracy, rather than actually giving tangible power to voters. For one thing, it is unlikely that significant numbers of voters will either know of or be influenced by the lead candidate process - although it raises the parliament's political profile without a watertight legal basis. And as things currently stand, it cements the largest political group, the European People's Party (EPP)'s hold on the commission. The parliament is pushing ahead nevertheless, and has even raised the stakes. In February 2018 it adopted a text saying that they would only accept a candidate for the commission if he or she had run in the 2019 elections as a lead candidate, ruling out any last-minute 'parachuted-in' candidates. But member states are also on the lookout this time. They know if it successfully produces a commission president for a second time, the process will be increasingly difficult to scrap. 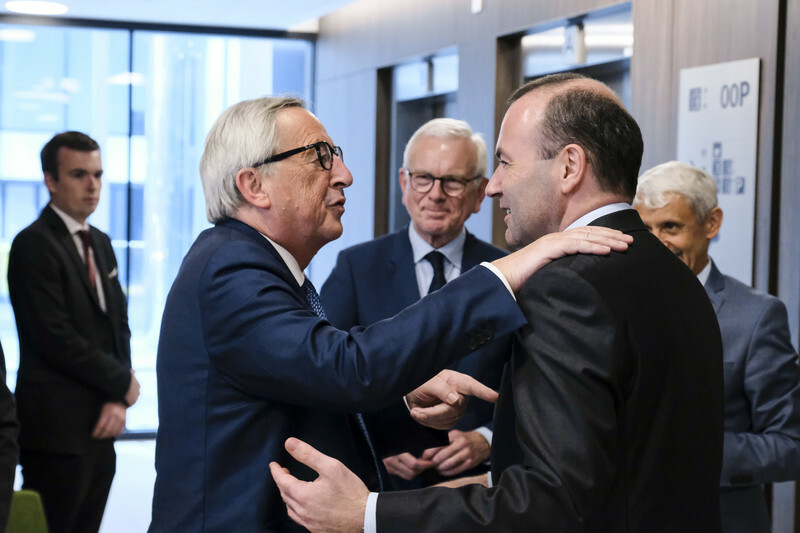 In February 2018, an informal gathering of EU leaders agreed that their governments "cannot guarantee in advance" that they will endorse one of the lead candidates for president of the European commission. "There is no 'automaticity' in the process,' said EU council chief Donald Tusk at the time. However, some EU officials warn that the process itself has gained political weight, and despite the scepticism and criticisms, it could have enough political momentum to force governments' hands. "Imagine months of campaigning, a top candidate putting together a majority coalition in parliament and member states rejecting that person. 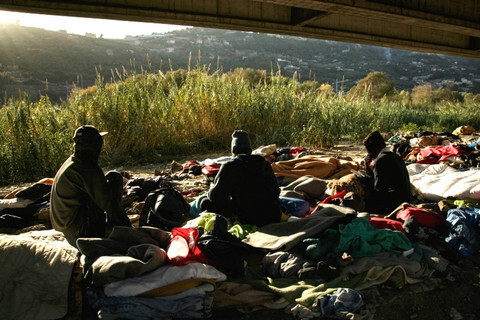 Politically, it will be difficult to do," one senior EU official warned. As yet, there has been little appetite among politicians to run for the presidency of the commission via the Spitzenkandidat process. Months of campaigning makes it difficult for sitting prime ministers or other leaders in office to join the race. The EU's largest political alliance, the centre-right EPP – which already runs the three key EU institutions – was nevertheless quick to push ahead. The EPP is expected to remain the largest party in Europe, even if it loses votes to more hardline rightwing alliances and populists - but their top position is not in serious doubt. This makes the EPP's lead candidate the most important to watch - but also raises doubts whether the process can truly be as transformative as parliamentarians like to think. The EPP's group leader in the parliament, the Bavarian Manfred Weber threw his hat in the ring last September. Weber has held no executive job and has been an MEP for 15 years. 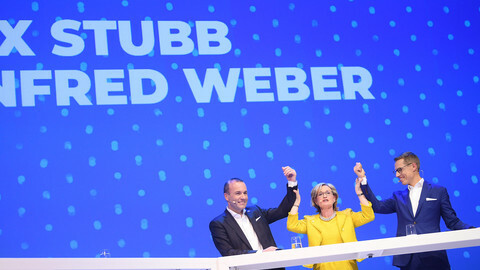 Weber secured the tacit support of Merkel, a key factor, and won the EPP's internal nomination process in November, which was more self-celebratory than a competitive showdown. 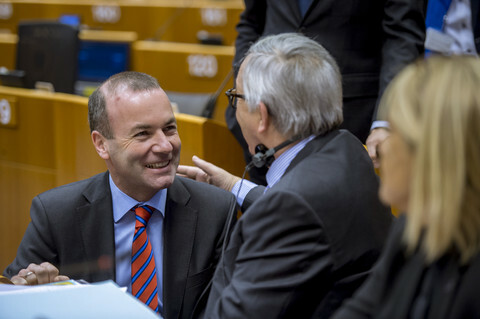 Speculation is rife in Brussels, however, as to whether Weber is capable of steering thousands of eurocrats while under immense political pressure from member states, whose governments are increasingly eurosceptic. Weber's team argues that he is a bridge-builder and therefore right for the job. But some predict Weber is merely the 'place-holder' for a last-minute candidate with a higher profile. The EU's Brexit negotiator, Frenchman Michel Barnier (who last September ruled out running for the position), raised expectations again early in 2019 with a wide-ranging op-ed about the future of Europe. Barnier's achievement in keeping the EU-27 unified during the Brexit negotiations is seen as a key asset in a deeply-divided Europe. However, it remains to be seen how much backing he would get from the Elysee Palace. 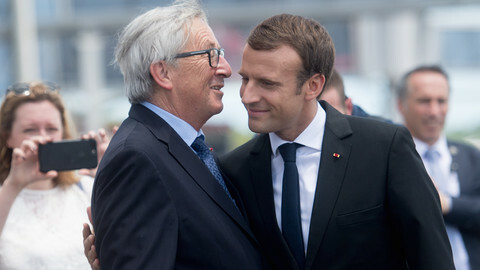 French president Emmanuel Macron has not backed the Spitzenkandidat system, as his party (La Republique en Marche/The Republic On The Move) has not yet entered the European parliament, making it difficult for him to throw his weight around in choosing the next commission chief. He is also from a different political family than Barnier. Macron also previously proposed a new method of electing MEPs through transnational lists - but that idea had died in the parliament in 2018. Weber's main opponent will be the Dutch commissioner, Frans Timmermans, who runs as the lead candidate for the Socialists & Democrats after Maros Sefcovic, Slovakia's current commissioner, withdrew his candidacy. The Greens have two top candidates, as is traditional for them, with Germany's Ska Keller and the Netherlands' Bas Eickhout. The rightwing anti-federalist European Conservatives and Reformists put forward the Czech Jan Zahradil. This week the liberal Alde party bucked the consensus by putting forward not one candidate, but a seven-strong "Team Europe" to spearhead its campaign. It includes, most notably, competition commissioner Margrethe Vestager. In addition, the Alde team features MEP Guy Verhofstadt, former Belgian prime minister, Emma Bonino, a former senator from Italy, Luis Garicano, an economist and member of Spain's centrist Ciudadanos party, Nicola Beer, the lead candidate for the German liberal FDP party, Violeta Bulc of Slovenia, EU commissioner for transport, and Katalin Cseh, founder and lead candidate of the liberal Momentum party in Hungary. While the Spitzen system is a deeply institutional and 'EU bubble' discussion, it highlights the core power struggle between member states and transnational institutions that goes to the heart of the debate over European integration. It also raises questions over what exactly democratic control means. In that sense, it is very much an issue that concerns every citizen. How many will actually vote - or even pay attention to a process specifically designed to engage them - is another question. This story was originally published in EUobserver's European Parliament elections 2019 magazine. Click here to access EUobserver's entire magazine collection. 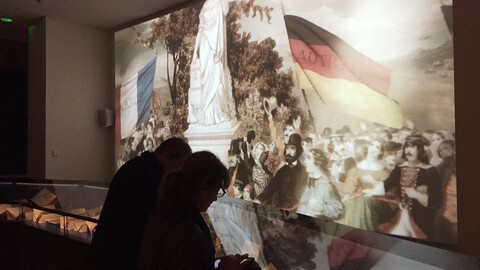 Europe before the elections - heading back to the past? The power of the parliament to 'appoint' the president of the EU Commission is new, highly-contested - and not universally understood. In fact, even some of the lead candidates to replace Jean-Claude Juncker are against it. 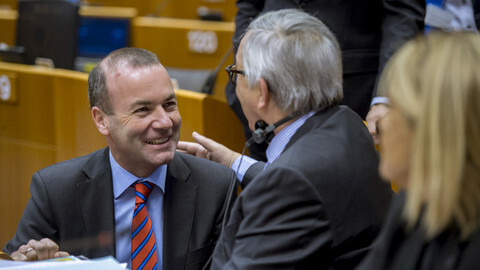 The debate organised by the centre-right European People's Party between its two candidates for the EU commission presidency revealed more unity than differences. Ahead of the European Parliament election in May, the bloc is ideologically split between authoritarians seeking to reduce its sway, and those seeking a moderate track. In essence, voters have to decide if they want to move forwards or backwards.